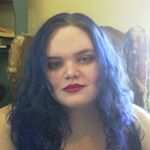 Lillian Dougherty is a self published author, self-taught makeup enthusiast, foodie on a weight loss journey, coffee lover, cat mom and pc-gaming lover. She is located in the Philadelphia-metro area. And loves writing detailed reviews. And never shies away from honesty. Demographic data for @lillian_lasttry's audience is available for free to influence.co users.